Come to the first-ever Art + Tech fair at Duke University and learn about how you can use the Ruby's makerspace to realize your creative vision. This event is proceeding as planned despite the severe weather beginning Thursday, September 13. Any updates will be posted here and on @dukearts social media channels as necessary. Thank you! Open to all. No RSVP required. Tell us you're coming on Facebook. Come to the first-ever Art + Tech fair at Duke University! Students of all interests and majors can explore an explosion of ideas at this interactive evening of art meets technology in the Ruby. Visit the Office of Information Technology’s (OIT) makerspace studio to learn about the equipment and tools on hand and how to use them for your creative vision. Help create a crowdsourced “chandelier” from laser-cut parts, join 3D printing and augmented reality demos, and see a pop-up exhibit of student and faculty art + technology projects. Plus, learn all the practical technology tools Duke has to offer new students. There will be food, giveaways, and hands-on fun. 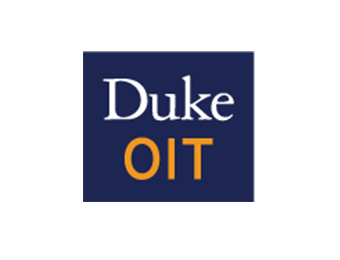 Hosted by Duke OIT, Duke Arts, and the Rubenstein Arts Center. eNable is a Duke student organization that aims to connect amputees with 3D printed adaptive devices, free of cost. By conducting user-driven research and development projects, and by forging partnerships with prosthetics organizations both locally and globally, we hope to push the boundaries of 3D-printed solutions to enable amputees with the devices we design and print. Learn more. Cornered is a video installation that represents the motivation and struggles of African immigrants making an attempt to cross the border from Morocco to Spain. The installation consists of video projections on a stylized wooden structure, which is reminiscent of a Moroccan tablet covered on top by a screened dome. Learn more. Christopher Lam is a PhD candidate in Biomedical Engineering at Duke, and is demonstrating the work he will develop in a Rubenstein Arts Center arts project residency in November-December 2018. Lam is creating an interactive experience using his own two-dimensional static watercolor paintings and a low-cost micro-controller and novel application of several rapid prototyping techniques. Unfortunately, given the weather, Quran Karriem will not be able to participate. SYNTHBALL is a lucid digital instrument designed to easily interface with real time audio-visual software. It is an instrument that is meant to be played through user gesture. The prototype arose out of a desire to create a tactile and responsive tool for electronic artists to use in contexts such as live performances, art installations and participatory game-based encounters with observers. Learn more. Rachel Goodwin is an artist and a designer for the Nasher Museum of Art. Goodwin was commissioned by the Innovation Co-Lab to create a sculpture using discards from the 3D printing process. She’ll be working on this installation in the makerspace—perhaps you’ll recognize the materials she is using! See her work. Reception for Hijacked during Art + Tech Fair! Drop into this moving image installation by faculty member Shambhavi Kaul, on view in the Murthy Agora in the Ruby through September 20. Meet Raquel Salvatella de Prada at the Art + Tech Fair! In this video she talks about her inspiration for and the process behind her video installation Cornered.